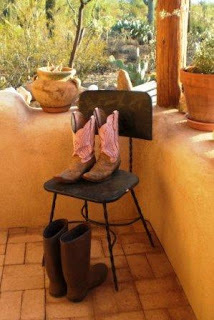 Tucson Daily Photo ~: Tucson Throwback Thursday - Pink Boots are Always in Style! Tucson Throwback Thursday - Pink Boots are Always in Style! Working on a ranch you have to have the right boots. Why not pink ones?